There are a blend of three oils in this according to Suqqu; mineral oil, olive oil and macadamia nut oil - resulting in a something very transparent and very difficult to capture on photo! It has got quite a textured, almost slightly gritty feeling that you can get from cheaper silicone-based products (this is what it reminded me of, in fact, more so than an oil-based product, although there are no silicones contained therein). It has a lovely, gentle, relaxing scent, based on orchids, I believe, which smells like clean linen and pretty girliness, pretty much like all of Suqqu products. It's used more or less in the same way as any cleansing oil: add a few pumps to your dry hands, massage well into your skin, watching the oils break down any makeup and dirt. 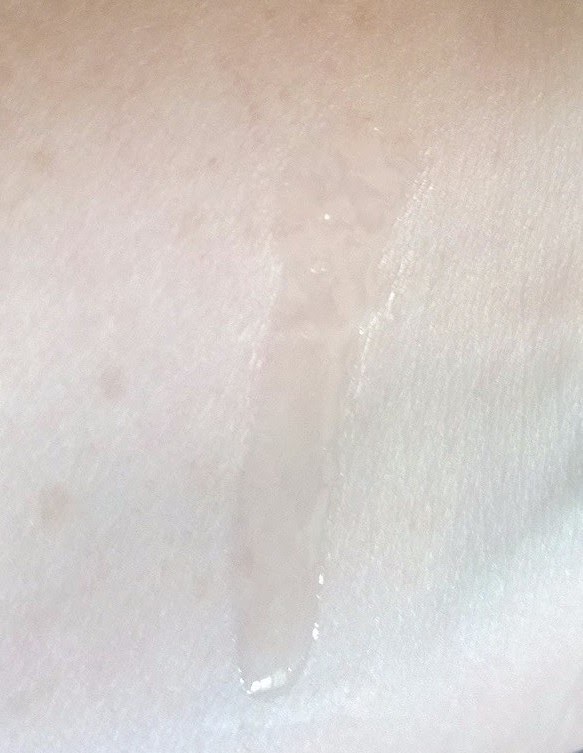 Emulsify using water (warm is best) on your skin - this turns it slightly milky, then wipe away with a cloth. Suqqu recommend you just rinse away (I find this leaves a residue, so a cloth is better). 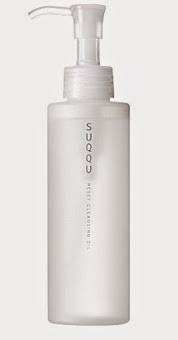 Suqqu also recommend you follow-up with a water-based cleanser after (likely to remove said residue, if I use a cloth I don't need to do this, plus double-cleansing is only something I'll bother with if I've been wearing extremely heavy makeup, which doesn't happen too often). It worked as well as any other cleansing oil I've used, with two annoying problems; one - it stung the living bejaysus out of my eyes. I tried it a few times, and the same result each time. Now, as I'm not likely to bother with an oil cleanser if I am not wearing much makeup, and if I have to reach for an oil makeup, I want to be able to remove my eye makeup as well, and if this doesn't really allow me to do that, I'm just not going to bother - it worked to remove the stuff quite well, it just stung. No thank you. Two - and this was equally strange, my skin felt dry and slightly tight after using it. Not something I'm used to experiencing with either oil or oil/balm-based cleansers. Odd. And not terribly interesting. 150ml pump will set you back £33 from Selfridges (this is around €42 on a straight conversion, ignoring any shipping or any additional VAT), so 28c per ml, compared with around 16c per ml for my usual, beloved Shu Uemura Cleansing Oil (€74ish for 450ml). That's quite a price difference and not one I can honestly justify. It has been interesting trying it out but I won't be bothering to replace. Look here if you'd like more info.